The first Winter of 2014 started with a blizzard which knocked out our power for about four days, as well as my second participation in Hanover Has Talent, in which I was blessed to be included in the finals for singing my original compositions, “Our Lady of Britannia”. Later, I also was interviewed on a local radio station and sang the song again on air. Near St. Valentine’s Day, I got together with my friend Mary and we had a movie marathon at her grandparents house, which included pieces Phantom of the Opera, Tangled, Night at the Museum, Robin Hood, Knights of the Round Table, etc. For St. Patrick’s Day, my dad purchased me a bodhran drum to pursue more fully the different elements of Celtic music. The Spring of 2014 included a beautiful Easter Vigil mass at the Annunciation Parish, including another grand-slam version of Handel’s “Hallelujah”. Also, as the Scottish independence referendum drew closer, I spent more time writing for Open Unionism and collecting interviews for Union Jack Chat. Meanwhile, I prepared to take part in the state level competition for the Sons of the American Revolution Historical Orations Contest and was invited to be one of the guest speakers at the county chapter meeting. It was held in the Buttersburgh Restaurant in Union Town, an intriguing (almost eerie!) little town time seems to have left behind in the days of the Civil War. About a week later, I attended the State Level Competition at the Best Western Hotel. As a note, the food was supreme at a buffet (free to guests, such as I! ): juicy steak, tender chicken, smooth mashed potatoes, fresh broccoli and carrots, as well as cheese cake! At the table, I met both the Raborgs, who served as coaches as to the rules of the contest, and the Baltimore county champion, David, who I would be competing. Due to our mutual fascination with history and many other things, we got along very well, and have continued to maintain our correspondence. The contest itself was a tightly called thing, and took the judges quite a while to decide upon the winner. Ultimately, I was selected, and promptly hustled off to receive a slew of instructions on how to proceed in the nationals to uphold the honor of my native state! The Summer of 2012 was defined by the national level of the SAR orations contest. 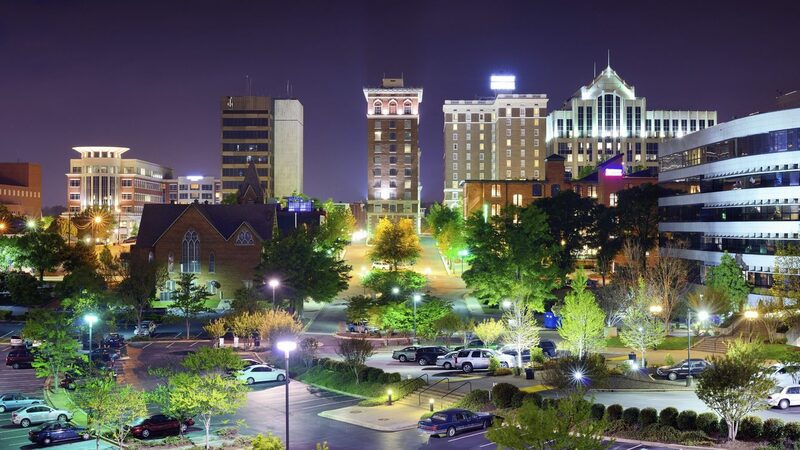 This year, the competition was were being held in Greenville, South Carolina, which is strategically located close by two Revolutionary War Battlefields, Cowpens and King’s Mountain. My father and I took a ten hour car trip there, and I must say the journey further impressed upon me how many different nuances there are in the fabric of American geography and demographics. It’s almost as if we have several different countries stuffed into one. The best word I can use to describe the visual and cultural feel of the Virginias and the Carolinas is Celtic. In contrast to the pleasant yet comparatively plain farm country of Penn-Mar, the trek south was marked by epic rivers and mountain ranges that seemed to have come over straight from Scotland with the Scots-Irish settlers who made them home. Of course, the accents start changing as well, hand-me-downs from the Ulster settlers whose distinct lilt and dialect did much to shape the drawl of the American Deep South over centuries of transformation. The haunting folk ballads of the British Isles experienced the same metamorphosis among these mountain strongholds and, distinctly mixed with traditional African tunes, gave rise to the Appalachian, Bluegrass, Gospel, and Country genres. This area of America also makes up the Bible Belt, another legacy of the stubborn Covenanters who defied King Charles at Greyfriars and the brazen Apprentice Boys who slammed the gates in King James’ face at Londonderry. Their insistence on low-church practices and antipathy to hierarchy of any form make them perfect revolutionaries and religious individualists. Picking up local stations on our car radio as we wended our way through the mountains of North Carolina, I could not help but chuckle as several Reverend Mac-somethings came on the air, preaching their weekly sermons in deliciously thick drawls with gospel music to accompany them. Greenville itself has a touristy feel to it, a different sort of city from what I’ve been used to in my journeys north to visit family in New Jersey and New York. There were lots of little shops and restaurants and strolling areas for meandering pedestrians. Under different circumstances, I might have liked the place as a vacation spot. There were three hotels that the SAR Convention was broken up into. The Hyatt, where the contest was held, was the biggest and brightest, with glistening fountains, see-through elevators, and glittery-modern-art-things hanging from the ceiling, plus burning torches out in the courtyard. It sort of reminded me of Ancient Rome or something! However, we were put in the Holiday Inn, a rather remote spot in town with a rather dingy interior and reluctant service. Plus, the food was expensive, the internet was broke, and the TV channels were terrible! While we were flipping through sports coverage and dating game channels in our hotel room, we came across two rather interesting anomalies: the finale of Lawrence of Arabia and then a budget monster movie with the promising title of The Wasp Woman. And we were really too exhausted to go out on the town and pick up some victuals, so we would up eating mom’s home-made macaroni salad that we assured her we wouldn’t need! Then we retired to our hard beds and tried to get some sleep. Those sharing our floor probably thought we were a little odd, since we plugged in our radio and played a CD of Gregorian Chant to help us get under! The day after arriving in Greenville, we were invited to a convention dinner at the Hyatt, where I had the opportunity of eating an innocent looking hamburger-like entity, that hitherto will always be referred to as “that evil sandwich”! Er…fried onion peach jam pulled pork anyone? Afterwards, we the contestants were taken downstairs to meet in the room in which the contest would be held to be familiarized with the procedure. The rules designated that each contestant should give a six minute oration on a person, event, document, or ideal associated with the American Revolution and apply it to today. I had chosen to tell the story of British General Thomas Gage, his American wife, Margaret, and the forgotten connections and divided loyalties that make the revolution more akin to a civil war. My brain began to vibrate with the name “John Locke! John Locke!” Yes, him and a slew of other Brits who sought out and defined the meaning of liberty that the American Revolutionaries used as stepping stones in their own expansion of the word. And had he forgotten Pitt, Fox, Burke and the others who were against taxation without representation? Furthermore, even for those who believed that Parliament had the right to tax the colonies directly, can it truly be said that they embraced “death, tyranny, and pursuit of unhappiness”? No, surely. Many of them were well-meaning, hard-working individuals who simply saw the situation in another light. Touching back to my point about making broad comparisons between the past and the present, it was common in the 18th Century for colonies to be largely unrepresented in the mother countries. Trying to force our own opinions on the way things should be into the past simply creates a false picture. There was also the issue of trying to make the subject relevant to “today.” Of the method being presented in this contest, I tended to be quite uncomfortable. The Whig Interpretation of History makes the case that historians must be very cautious in the way they try to connect the past and present in a pre-packaged format, making all that has gone before only of value if it applies to the modern. But in trying to force a direct analogy with present-day issues, we often create a false sense of historicity and lose track of the more subtle lessons that good stories always leave with the reader or listener. Hence, I decided to use the ending of my speech to encourage my modern audience to remember those who had gone before and learn the lessons from the past and show compassion for both sides and pray for their souls. But I did not attempt to make a modern-day equivalent illustration. Thanks so much, Wyndysascha and Mack!